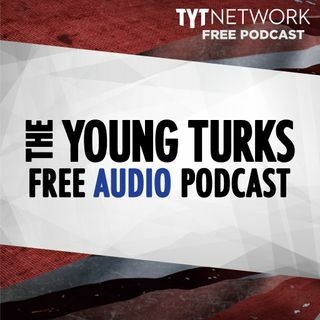 A portion of our Young Turks Main Show from March 15, 2018. For more go to http://www.tytnetwork.com/join. Hour 1: Walkout students go crazy at Sanders arrival. Bernie excitement at National Walkout Day. Mueller subpoenas Trump org. Kudlow economic adviser. Kudlow in 2011–Human toll in Japan worse than econ toll, good news. Senate Passes Bill To Deregulate Banks. Ana w/Bernie–Addresses the 16 Dems that voted for Bank deregulation. Germany looking to arrest Gina Haspel. Trump admits he lied at ... See More fundraising event. Trump admits he lied at fundraising event. Yale Experiment: turn conservatives into liberals. Hour 2: Trump wants to execute drug dealers, w/ some exceptions + finalizes opioid plan. Tucker Carlson links immigration to infertility in American men. Tucker Carlson falling wages leads to infertility and out of wedlock births. Women dont want dudes who dont make good money. Neo-Nazi Love Triangle.